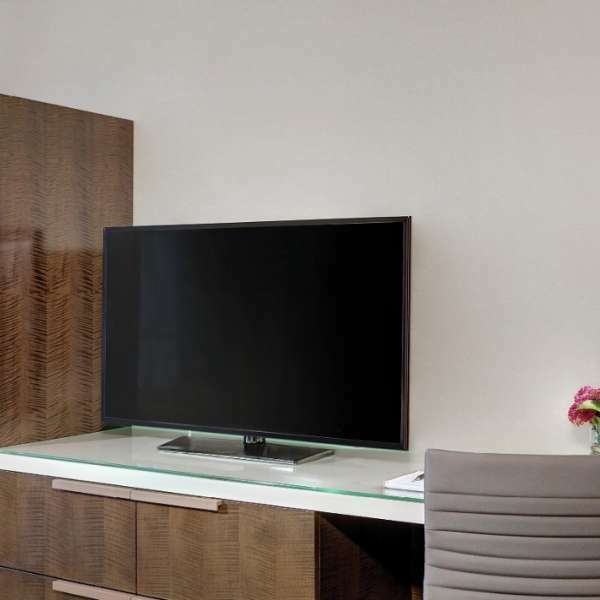 Newly remodeled, this stylishly functional room is our most efficient footprint yet. 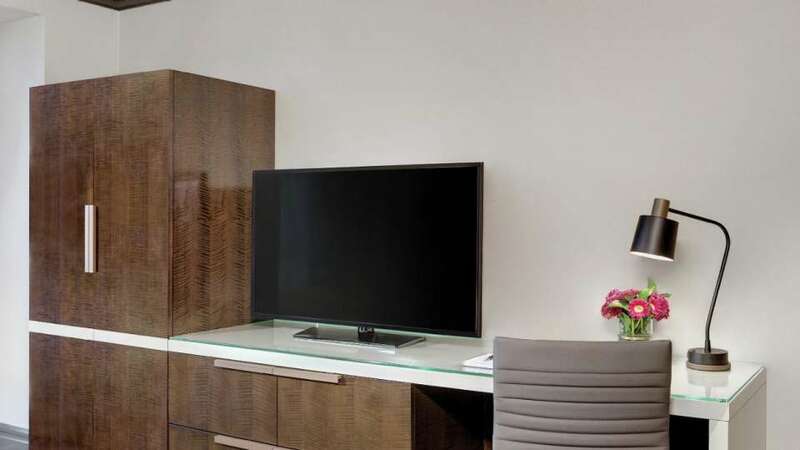 Taking a minimalist approach to design, this clutter-free environment features two queen beds, a 50” flat screen TV, multiple charging and power outlets, and a multi-purpose element that doubles as wardrobe, storage, work surface and media center. 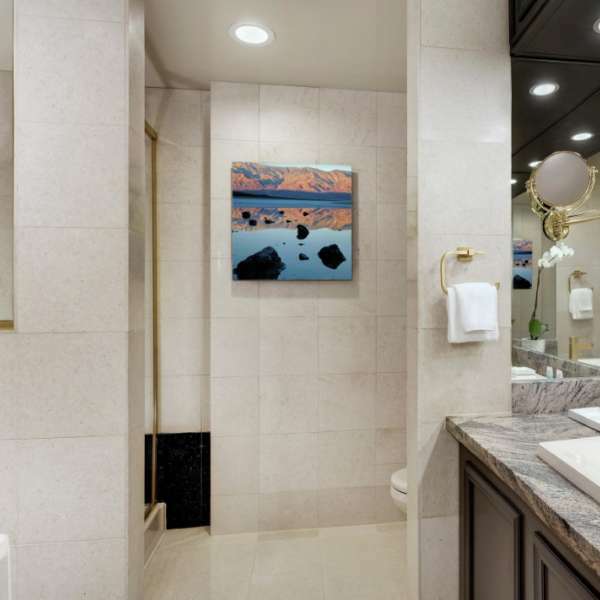 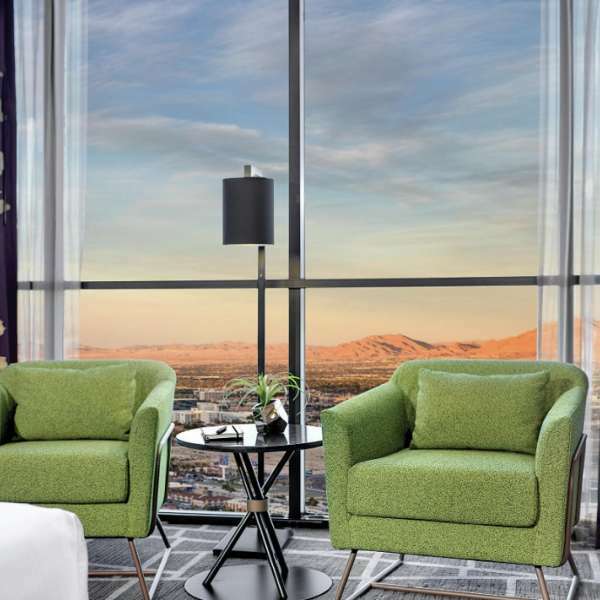 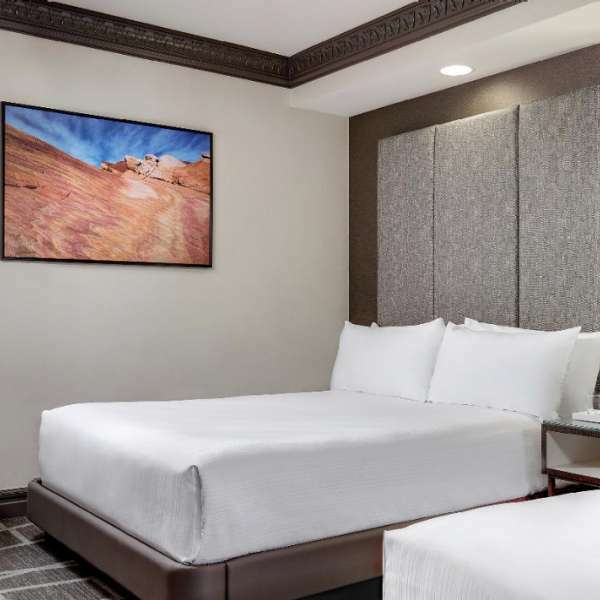 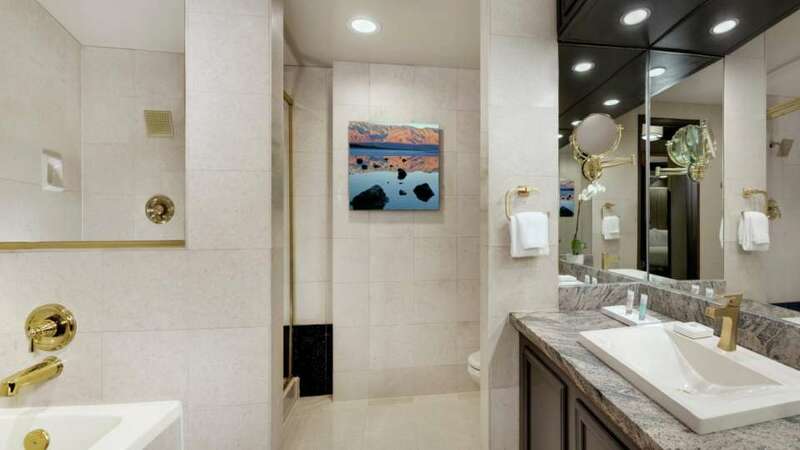 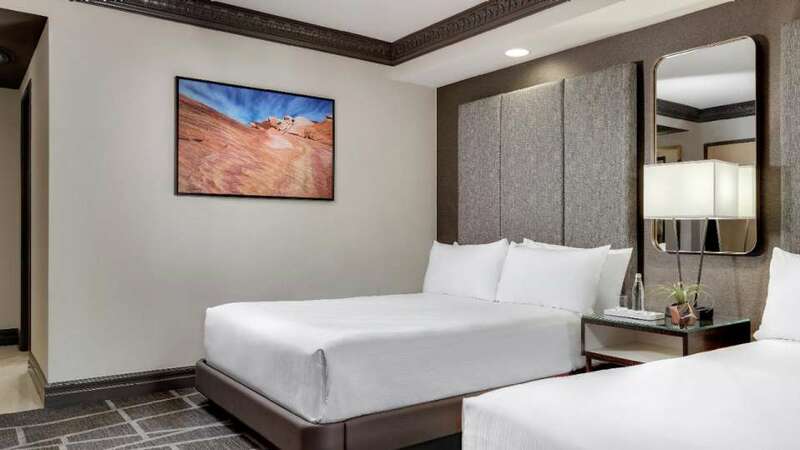 The room was made to feel more natural with both functional and accent lighting and art that consist of images of the Mojave Desert. 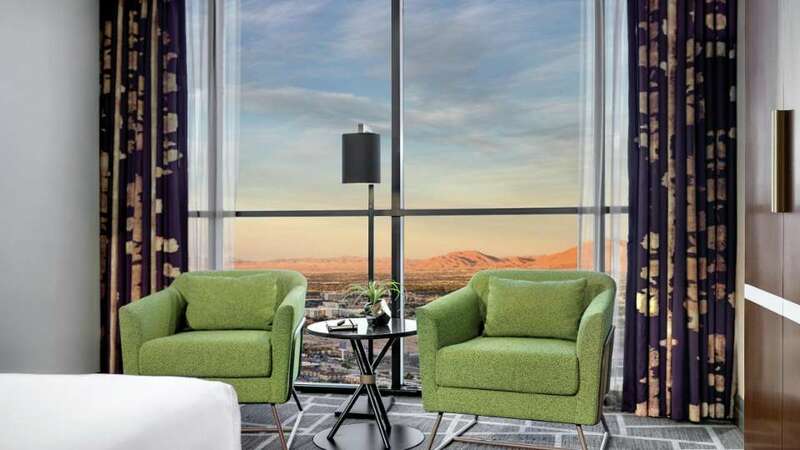 The interior of Tower Premium Queen Room.